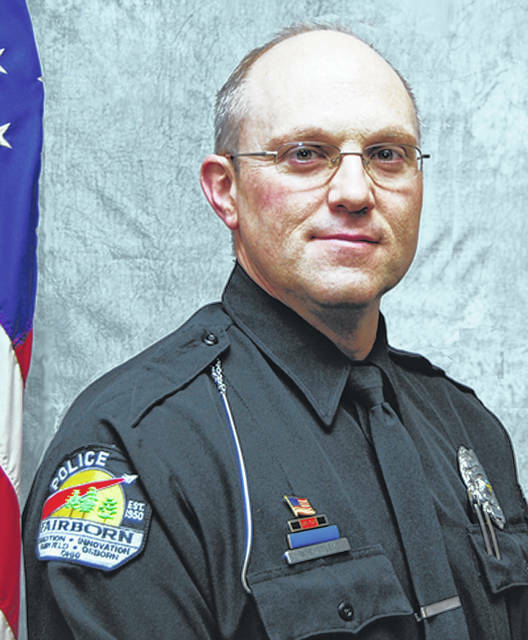 FAIRBORN — Fairborn Police Sergeant Bill Titley was shot in the arm Tuesday, April 2 upon responding to a shots fired incident. Luke D. Easterday, 18, of Fairborn, is being charged with attempted aggravated murder and felonious assault, both first-degree felonies, for allegedly firing the weapon. He is currently detained at the Fairborn Jail with a bond set at $1,000,000. Titley, a 21-year veteran of the Fairborn Police Department, was transported to Miami Valley Hospital with non-life threatening injuries and has since been released and is recovering, according to the Fairborn Police Department. Fairborn officers responded to a report of shots fired approximately 11:33 p.m. April 2 inside the Fairborn Apartments complex, according to a press release from the City of Fairborn. During the investigation, officers spoke with potential victims who made the call and developed identifying suspect information concerning Easterday. Officers then responded to the 200 block of Archer Drive, which is the last known address of Easterday. While attempting contact with Easterday on Archer Drive, he allegedly fired a single round from an upstairs window, hitting Titley, and retreated back into the facility. The Regional Emergency Response Team (RERT) was called into action. Police said RERT members deployed chemical munitions into the residence after numerous unsuccessful attempts to contact Easterday. He still did not come out of the residence or respond to attempts of contact. The press release said RERT members then made entry into the residence and found Easterday inside, where they took him into custody. The release said a firearm was located at the scene and that no offices discharged their weapons during the incident. Contact Whitney Vickers at 937-502-4532.